Yes, it was a masterpiece indeed. 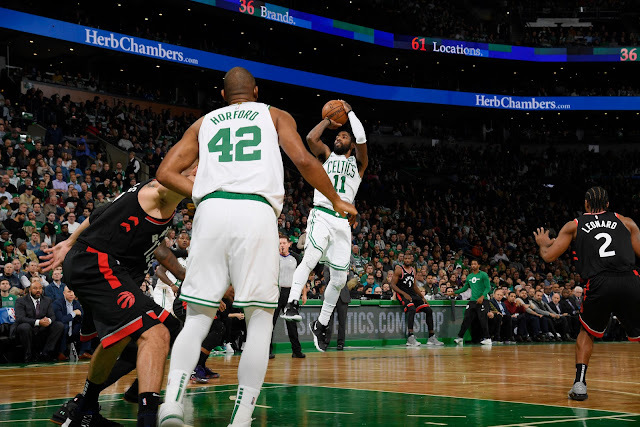 A hard-fought, overtime victory over the Toronto Raptors at TD Garden. Kyrie Irving led the charge with a double-double of 43 points and 11 assists. He shot 69% from the field and 50% on treys, while adding three steals and one block. Last night didn't look like Kyrie was back to 100% of himself - more like 110% - or better. Everything was going in for him, and when he wasn't scoring, he was setting up his teammates. As of November 16, 2018, Irving was not in the top-10 on the Kia MVP Ladder. Toronto's Kyle Lowry is ranked 9th. Kyrie is listed as an also-ran with the likes of James Harden and Russell Westbrook. That could start to change with Irving's spectacular play of late. It is difficult to pinpoint one terrific play by Kyrie, but his steal, full-court drive and layup at the 3:52 mark of the first quarter is one of many. Another few games even close to this one should move Irving into the top-10 on the Kia MVP Ladder. But the important thing is Boston has a two-game winning streak. 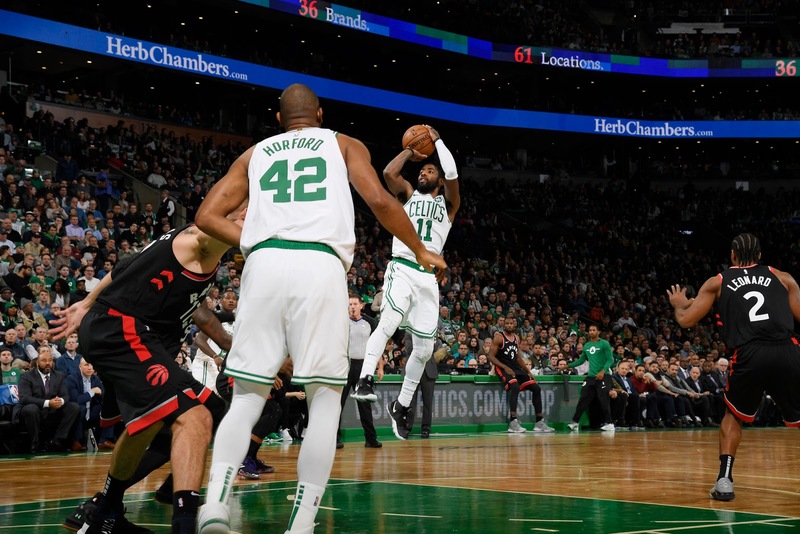 Let's hope this is the turning point for a Celtics team that has under-performed until now.